Posted by Brittany Bosher on Monday, September 18th, 2017 at 1:12pm. If you have always dreamed of owning a home in a beach town, you are in luck. Contrary to popular belief, you may just be able to find your perfect beachside abode in some of the country’s best beach towns for less than you think. WalletHub, a personal finance company, website and digest recently published a nationwide survey their team of experts conducted on the “Best Beach Towns and Cities To Live in 2017.” The data they gathered offers information and details on seaside real estate and data sets organized into different categories. WalletHub did such in depth research that their data sets are categorized down to housing costs, water quality at the neighboring beaches, quality of life, safety, education and health ratings and overall weather. Its not much of a surprise Florida’s oceanside towns and cities rank all over WalletHub’s list of Best Beach Towns to Live In, but Palm Beach County alone had 3 of its cities make the Top 20. The city of Boca Raton, Jupiter and North Palm Beach ranked well on the list. 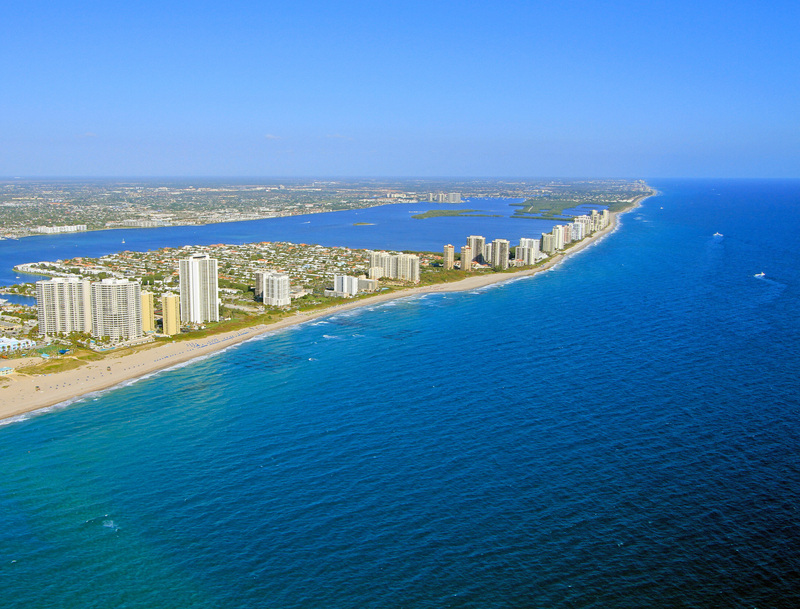 Boca Raton secured the #6 spot on the list for its “Quality of Life.” Jupiter took the #14 spot for “Best Overall Beach Town” in the United States and #5 on the list for “Affordability.” North Palm Beach took the #10 spot in the “Affordability” category. Some of the other Floridian, beach towns that made a splash on this country wide survey included: Key Biscayne, Key West, Marco Island, Miami Beach, Naples, Sarasota, St. Augustine and Venice. To read the entire survey, please visit www.WalletHub.com.